Start your day with banana breakfast or banana shake or banana salad. Banana is a good source of vitamin B-6 and it’s also called pyridoxine. You can use this fruit in breakfast and enjoy on its own or in a fruit salad or milk shake. Banana are rich in carbohydrates, vitamins B6 , fiber , minerals manganese and potassium . 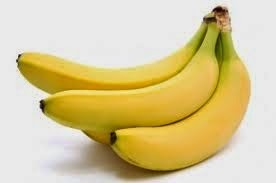 One large banana contains 0.37 milligrams of manganese, and a men body requires 2.3 milligrams daily. Women require 1.8 milligrams daily. Use banana shake after workout.